A range of C4 manilla envelopes. These A4 envelopes (C4) accommodate A4 sized documents. C4 envelope dimensions are 229 x 324mm (9 x 12.8 inches) – perfectly designed to fit an unfolded A4 paper sheet. 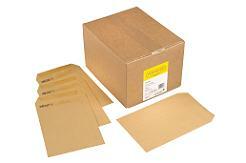 This range features self-seal envelopes and gummed envelopes. Available in a range of weights, styles and box/pack size. Browse the selection below and order online. 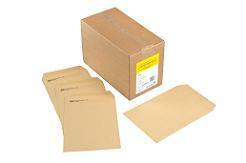 Great value manilla envelopes for general office use. 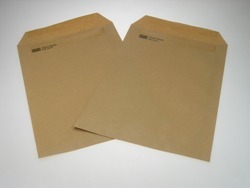 Medium weight, medium strength envelopes. Ideal for all general purpose mailings where strength and security are essential.